Hi, I am Mark Lange (ECBS, ITEC, AMANF,). I am professional full time Holistic Complementary Therapist, Consultant and teacher working in West Wales. I live in Gorslas inbetween Carmarthen and Swansea but I still cover the areas I have for the last 13 years that being Pembrokeshire, Carmarthenshire and now Glamorgan. I professionally practice Bowen Therapy, Bowen technique or the new name Bowen Fascial Release Technique, Allergy Testing, Emotional Stress Release and Ancestral Stress Release and Feng Shui in Pembrokeshire, Carmarthenshire, Glamorgan and Ceredigion. I carry out Allergy tests world wide via post, via various Traditional Chinese medicine shops and also tests face to face at various centres around the local area which are slightly more involved. I have been a Bowen Therapist, Allergy Tester, Dowser, Emotional Stress Release and Feng Shui consultant since 1999. I am also qualified in Massage and Reiki. 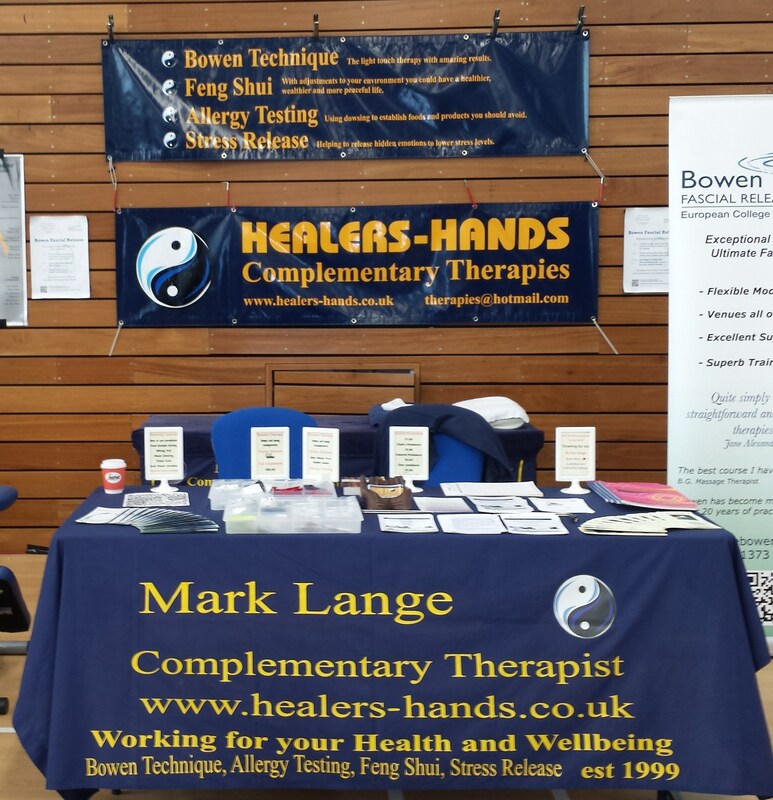 Through my years of practising I have been on regular courses to improve my knowledge in Bowen Therapy, Bowen Technique, Allergy Testing, Stress release and Feng Shui, I have also perfected my own therapy Ancestral Emotional Stress Release. I teach people to dowse and open up a way of helping the mind, body and soul, through a course which was perfected by my Mother Joy Lange who was and still is a forefront for complementary therapies as she has been practicing for forty years. Please see www.dowsingcourses.co.uk for more info. I have been a Bowen Teacher with the European College of Bowen Studies, teaching quite a few people in the art of this therapy, I believe in the future I will be teaching again so if you wish to be on a list please feel free to contact me. My ethos is to help the client holistically. Take for instance a headache is a sign of a problem in the body, this is not because a lack of pain killers. The problem could be vast from dehydration, hangover, compression, concussion, something lodged in the brain or muscular and stress, these are just a few. The pain killer would kill the symptoms but not solve the problem.